Diversity Management (DM) has been observed in various dimensions. Diversity as an expression is being used in every sector, whether; it may be political, social, educational or corporate to encourage an environment of inclusiveness. In this interconnected world, diversity has become the norm-not exception for organizations and acts as a driving force to grow and sustain in the competitive global marketplace. Most of the fast growing organizations today require constant creativity and innovation combined with a continuous learning process. The observed existence of diversity highlights the necessity for managing it effectively, hence Diversity Management (DM). Government of each and every countries have put up rules and regulations ensuring that people are taken into account based on diversity, likewise Indian government have also levied number of rules mandatory for the organizations to follow. Few of them may be equal pay for both gender in the working section of the society irrespective of caste, creed; proper recruitment system following quota system for under-privileged group of society. Though a deeper insight is required in the Indian context on the concept of DM there has been a sprinkling attention on DM. In this paper, the genesis of diversity management as a management concept has been brought about along with the various dimensions of workforce diversity. Basically it is an attempt to present the blend of literatures pertaining to importance of diversity management practices in organizations. Along with it the kind of impact DM has on organizational performance is being highlighted. Implications of DM are further discussed followed by discussions and conclusions. Keywords: Diversity, diversity management, organizational performance. Increasing globalization has enhanced the necessity for managing a diverse workforce. It has made people from diverse backgrounds to interact with each other more than ever before. Today, there is a possibility for global population to assemble and work in a single domain. Hence, diversity is increasingly becoming a hot issue in political, legal, corporate and educational arenas. Government as well as private organizations consider this as an important issue. Thus, the necessity of diversity management came into picture. Diversity is ubiquitous. It is a complex phenomenon for an organization with which it has to deal. Organizations’ ability to deal, accept and celebrate the uniqueness of each and every individual is a big question mark when it comes to managing a diverse population. Fast forward mode of doing work, target of high level of achievements demands creativity and innovation. Diversity management (DM) as a strategy is presently being adopted by organizations as one of the major tool for attaining a competitive edge. Recognition of the value of diverse workforce has made organizations adopt a strategic people management technique for enhancing organizational competitiveness. This review is an attempt to understand the various aspects of diversity management in the Indian context. Literatures have been reviewed on DM and its impact on organizations to better understand the concept of DM. As far as this review is concern, ample of research both empirical and conceptual is available from the United States. Researchers have explored much in the European terrain. But very few researches are done in the Asian countries and more specifically in India except for few (Cooke & Saini, 2010; Paelmke & Erwee, 2008). The presence of so little research in the Indian organizational setup signifies the necessity to go on for a rigorous involvement of researchers to study how diversity has an impact in the Indian organizations with reference to performance. Differences may exist in the diversity scenario in the western countries organization from that of Indian organization. Henceforth, reconsideration of factors or dimension is necessary so that it adds value to the area of study. Researches has also been conducted on various dimensions of DM that investigated DM practices at the individual level, at the group/team level, at the organizational level; DM and work-group performance; diversity and inclusion. Various techniques like case studies, surveys, experimental, longitudinal studies have been used to study the diversity factors and its implications on performance. In this review we will concentrate basically on DM and the individual performance which will in turn lead to organizational performance positively. Firstly, the concept of diversity and DM is defined for further clarity. Secondly, the genesis of DM as a management concept is given. Thirdly, the various variables of diversity attributed as surface level and deep level diversity which has an implication on performance is put forward. Fourthly, the relationship between diversity and performance of an organization as a whole has been viewed by means of literature review followed by discussions and conclusions. The term diversity basically refers to the differences that exist between individuals thereby making each and every individual unique in terms of age, gender, religion, personality, ethnicity, culture and national origin as well as deeper aspects of individuals like attitudes, values, behaviors (Kossek, Lobel, & Brown, 2005; Shaw & Barrett-Power, 1998; DeLuca & McDowell, 1992; Rosen & Lovelace, 1991). Hence, it encompasses all the aspects of an individual whether tangible or intangible. Each and every individual differs from one another with respect to some tangible attributes like age, gender, disabilities, culture etc. All this aspects are un-changeable. However, there are also some attributes which are changeable of an individual like attitudes, desires, personality, work behavior etc. These changeable attributes of an individual are the main concern of an organization. An organization can grasp these changeable attributes of the individuals and convert them into elements that will benefit the organization. Nevertheless, the effects of the unchangeable attributes cannot be underestimated. To get hold of the diverse qualities which an individual brings along with himself/herself to the organization, management must be competent as well as eager. Much of the implementation can be done only if the management of the organization is interested and takes active part towards its implementation. Literature reveals that in a long run the deep-level diversities or intangible attributes of individuals has a greater impact on performance, whereas the impact of surface-level or tangible attributes of individual tends to diminish and becomes negligible with time. Hence, it is necessary to take care of surface-level diversity at the entry level and in the long run deal with the deep-level diversities. Researches argue that different dimensions of diversity either tangible or intangible, has an impact on the overall performance of the organization. As such it becomes a necessity for the organization to take into account the individual diversity in any form for that matter and tackle with it with the help of well defined and well established rules, regulations and strategies. This fact signifies that managing a diverse workforce requires an organization to adopt strategies and policies which will lead to organizational effectiveness. DM is a strategy to promote the perception, acknowledgement and implementation of diversity in organizations and institutions. It includes acceptance and respect whereby accepting that every individual is unique and different from each other (Lumadi, 2011). It is a tool for an organization whereby the organization tries to create an environment where every individual irrespective of age, gender, color, personalities, attitudes etc. are invited and valued. It provides a comfortable atmosphere which is conducive for creativity and innovation along with career development for the individual employee and a competitive advantage for the organization. DM, thus, is a call for organizations to recognize the uniqueness of each & every individual thereby making the utmost utilization of the available personnel to create a sustainable competitive advantage for the organization. The concept of ‘diversity management’ originated in the U.S. and the term entered the management conversation with the 1987 Hudson Institute Report, “Workforce 2000”, which stated that women, blacks, Hispanics and immigrants would make up 85 percent of new job seekers by the year 2000 (Lorbiecki & Jack, 2000; Jonhston & Packer, 1987). During the 1990s, DM was introduced in the U.S.A., the U.K. apart from still more other countries, with the goal of: Increasing the rates of participation of women and ethnic minorities, improving career prospects for these people, incorporating wider perspectives into the decision-making processes and helping organizations reach new, and formerly untapped, markets (Lorbiecki & Jack, 2000). But even before diversity came into picture in management, it was already termed illegal by the 1964 Civil Rights Acts to discriminate employees on the basis of race, color, and the subsequent Executive Order 11246 led to the founding of the Equal Employment Opportunity Commission (EEOC), thus beginning equity/affirmative action conversation (Herring, 2009). Apparently, by late 1970s and 1980s private companies are seen to realize that they have to go beyond the legal mandates in order to effectively manage diversity with valuing diversity as its aim (Herring, 2009). Hence, DM emerged as the management concept which of course was like a dawn for the unprivileged group. When we look into the Indian economy; a massive change or reform took place in 1991 with the Liberalization, Privatization and Globalization or so called LPG policy. It was a landmark step inviting foreign investment, opportunities to trade overseas etc. As the waves of globalization swept the organizations, a platform was formed where workforce from diverse countries, cultures, values, styles, backgrounds were able to come together presenting opportunities as well as challenges for the organization. Hence, the issue of DM. Organizations sensed the need to construct an environment that accepts differences, value equality, presenting a favorable place to work in. Now it’s been almost two decades that diversity has been an issue of concern in organizations and also the realization that diversity can be a way for achieving great heights. As such, a diverse workforce or a heterogeneous workforce has become an essential criterion to deal with, to bring about organizational effectiveness. Researchers have found that diversity can improve organizational effectiveness and organizations that are reputed in managing diversity effectively are more likely to attract a pool of best personnel (Carrell, Elbert & Hatfield, 2000). Diversity variables can be classified into surface-level and deep-level. A clear understanding of the factors/variables of diversity which has an impact on performance of individuals and organization as a whole is drawn from this part of review. Another part of review on variables about diversity consists of the variables which contribute towards organizational performance. Surface-Level Diversity (Tangible) - Surface level diversities are said to be those differences which are present in individuals and are easily noticeable depending on which we tend to segregate an individual from another. Gender - Gender issue has always been a great area of concern. In western countries discrimination has prevailed in organizations regarding employment opportunities, growth opportunities towards women section of the society. Even though attempts have been put forward towards the removing of such practices, actual scenario tells a different story. Even after years of introducing the Equal Opportunity Legislation, gender issue is still a very tricky and problematic issue and a major topic of concern. Differences in terms of gender have been found to have a positive relationship with interpersonal deviance (Liao, Joshi & Chuang; 2004). On the contrary, a negative relationship has also been found between gender and alliance team effectiveness (Zoogah, Vora, Richard & Peng, 2011). Hence it can be said that gender can have both negative and positive effect on organizational effectiveness depending upon the circumstances under which it is being considered. In India, when we look into managing diversity, it is more of bringing about gender diversity. It concerns equal opportunities for both men and women section of the society, equal treatment in front of law, equal wage/salary for equal kind of job. Organizations are into giving equal chance on the basis of merit irrespective of kind. Today, female are seen to be given a chance in organizations to a great extent. Age/Generational - Age or generational diversity has a great impact on the work performance of the organizations. It has been said that workforce today has become very diverse not only in the area of gender, racial-ethnicity, cultures and work style but also in terms of age. Workforce today consists of four generations i.e. Traditionalists, Baby boomers, Generation X and Millenials/Generation Y; however, with a few from the group of traditionalists considering their age from the time they were born. But the fact remains that it still provides immense challenge as well as unique opportunity for the organizations. Generational differences will have issues with respect to communication, technology, preferences, workplace expectations, compensation etc. (Kapoor & Solomon, 2011; Haeberle, Herzberg, & Hobbs, 2009). Traditionalists are those who are generally born between 1925-1945, who believe in institutions and are loyal to the parent organization (Kapoor & Solomon, 2011; Simons, 2009; Spiro, 2006). Baby boomers are those who are born between 1946-1964, who tend to be more goal oriented, hard working, committed towards the employer with due concern towards the salary being paid (Kapoor & Solomon, 2011; Brazeel, 2009; Spiro, 2006). Generation X or Gen Xers are those who are generally born between 1965-1980 and are considered as completely different from the other two generations. This group of individuals focuses more on work-life balance with little or no interest in being associated with the same organization forever (Kapoor & Solomon, 2011; Wendover, 2009; Simons, 2009). Generational Y or Millenials or Echo Boomers are those who are born between 1980-1999, who have great energy, drive, and skills. These groups of individuals are technology savvy; connected globally by means of email, text messages and social websites preferring to work in teams and seek to involve in creative activities (Kapoor & Solomon, 2011; Spiro 2006 ; Brazeel, 2009). Culture - Culture can be defined as the webs of significance we spin as human beings: who are and how we interact with the world is an intriguing interaction of language, values, beliefs and behaviors that pervade every aspect of a person’s life, while continually changing and evolving (Ginsberg, 2005). Culture is a part of ethnicity. Ethnic refers to being related to different race of people. Each and every individual in an organization can be related to a different social background, with different values of its own which they follow. Ethnic issues are very delicate and it needs to be dealt in a very proper manner. Ethnically diverse team has been found to be performing much better than a non diverse team on a team project (Watson, Johnson & Zgourides; 2002). Cultural diversity is the differences between individuals with regard to the cultural background. Culture had been broadly studied in diversity management. Studies show that organizations have recognized the importance of culture towards attaining efficiency in work environment. Culture inhibits the full structure of an individual in terms of his family background, the society from where one comes, the habits etc. Cultural diversity is considered in almost every literature for studying its impact on performance. For example, Marwari people are considered to be very good in business, accounting; Bengali people are considered to be very astute and sharp so on and so forth. In a global scenario, cultural diversity plays a very crucial role in sustaining in a global environment. In-order to function successfully in a different region, country or continent, organization has to take care of the cultural differences that exist. For example; the work culture prevalent in U.S may be completely different from that of China. Nationality - Individuals are also segregated based on their nationality by which individuals are categorized to be of different nation or country. Nationality is termed important for those companies or organizations that employ foreign nationalities or immigrants as well as those multinational companies (MNC's) that have got subsidiary companies in a foreign land. Nationality is thought to be related to team performance (Bell, Villado, Lukasik, Belau & Briggs, 2011; Kilduff, Angelmar & Mehra, 2000). Nationality has been studied in different forms in diversity management. Zoogah et. al., (2011) found that nationality along with gender has a negative relationship with alliance team effectiveness. Race/Caste - Race is one of the base for the existence of DM. It made conscious effort to deal with racism and bring equality among the people in every setup, whether it may be government or private kind of establishment. Racism may be, keeping a group of people out of employment opportunities, neglecting a particular group of people just because they belong to the said race, meaning injustice. Recruitment is one area where bias prevails depending upon race or caste. Managing race diversity is one of the big challenges which organizations face. A focus on the racial differences is necessary to bring forth the challenges associated with it and henceforth direct the diversity efforts to manage it positively. This approach to racial initiatives reflects the integration and learning perspective of diversity (Matton & Hernandez, 2004). In India, caste system still holds a strong fold on organizations. Though government legislations have removed caste system, and laws regarding equal employment have come up, still the root is intact. Efforts are still required to remove the root cause. Caste discrimination is a great hindrance for individuals working in organizations to build him/her and also for the groups to work in unison for achieving the organizational goals and excel in it. In the long run, no one but the organization is the loser in losing such talents which the individual holds. Religion - Religion is a very important factor which is part and partial of an individual. Religion is a very sensitive issue for any individual and in-fact it plays a vital role in stereotype, the way a person looks at the other person. Religious differences go hand in hand with other forms of diversity thereby affecting almost every aspects of reality bringing tensions among individuals with different religious belief system (Gebert, Boerner & Chatterjee, 2011; Beyer, 2003). Religious diversity does not merely lead to different thought worlds in organizations but to different world views (Gebert et al. 2011). Given the diverging political and cultural preferences coming along with diverse religious denominations, religious differences may result in value diversity (Gebert et al., 2011). A harmonious relation between different religious beliefs will facilitate organizational coordination and cooperation for everyone involved (Gebert et al., 2011). The problem is not with the presence of religious diversity but religious tolerance which affects organizational performance (Gebert et al., 2011). Deep-level diversities are those which are present in the individuals but are not easily identifiable. Effort if directed appropriately can change deep-level diversities, as per the needs concerned by the organization. Educational Background - Educational background refers to the qualification attained by an individual in his/her academic career. Educational diversity is very crucial for any organization for effective functioning of the activities towards organizational performance. An organization has individual coming from different educational background which is a blessing for the organization. Increased educational background diversity is argued to be important as it provides a scope for task- relevant knowledge to be applied to the task. When considering performance criteria as creativity or innovation, educational background will contribute to performance. Attitudes - Attitude of an individual is inborn but possibility is there, it can be changed if efforts are directed towards it. Attitude of an individual towards the other person shows whether that person considers the other as different from himself. An individual’s attitude towards others who are perceived as different from themselves can be improved through extended contact (Yeager & Nafukho, 2012). In an organization, attitudes of the employees towards, its coworkers; towards subordinates; towards superior; affects the working environment and ultimately individual performance, team performance and thus, the organizational performance. Hence, it becomes the responsibility of the organization that effort is directed towards handling the attitude of the individuals in such a way that it brings positive outcome. Personality - Personality is a total of how an individual is with all his character, traits, attitude approach etc. Teams/Organizations comprising diverse personality types will perform more effectively (Pollock, 2009). Studies have suggested that personality based diversity can have a great impact on outcomes such as social integration and performance at the team level of analysis (Liao et al., 2004; Harrison, Price, Gavin & Florey; 2002). Organization gets affected by the very presence of diversity of its human resource. DM acts as a tool implemented by management to help in harmonizing a situation which otherwise would have hinder organizational functioning. Commitment - Commitment is a stage where employees dedicate themselves for the betterment of the organization. It refers to the strength by which a member identifies himself with and involves towards the attainment of organizational goals. Diversity management helps in increasing the commitment level as it helps in making them feel included in the organization. Commitment is found to be closely linked to organizational performance (Gonzalez & Denisi, 2009; Dutton, Dukerich & Harquail, 1994; Mowday, Porter & Steers, 1982). Creativity/Innovation - Creativity or innovation describes a situation in which individuals comes up with new ideas, prospects, ways of doing things, a unique way which has not been thought before, done before. Presence of diverse individuals with difference in personalities, attitudes, values, knowledge can foster an environment of talent pouring; only thing the organization has to do is to harness it in the best possible manner. Diversity promotes integrative insights, creativity, and innovation thereby improving performance (Harrison & Klein, 2007). Diversity of team roles in teams is important, as it clarifies responsibilities, creates innovation, and provides clear understanding of the tasks and team goals (Pollock, 2009). Exposure to divergent and potentially valuable perception can lead to more creative and innovative ideas and insights (van knippenberg et. al., 2004). Fact also stands that performance innovation may be positively associated with individual education and gender (Yeager & Nafukho, 2012). Problem Solving - Problems are a part of managing an organization. How you deal with it is the deciding factor for the organization in being successful. Diversity can benefit organizations by providing an expansive range of ideas, skills, and insights that can widen organizational capabilities to solve problems and help in making better decisions (Choi & Rainey, 2010; Cox 1993; Cox & Blake, 1991; Ely, 2004). A study by Richard et al. (2004) reported that demographic diversity at the firm level is associated with several beneficial outcomes such as innovation, creativity, problem solving ability, and increased competitive advantage. Respect For Each Other/ Mutual Identity Confirmation - Working together with different individuals in an organization requires a comfort level. Through diversity management a common understanding and respect can be created among the employees. This will to a great extend diminish the controversial effect which may otherwise disrupt the flow of the performance in the long run. Brickson (2000), states that identity orientation shapes diversity effects. The focus on the value of diversity will bring a mutual respect which in turn will address the threat of distinction of identities (van Knippenberg et. al., 2004). Fig:1 shows the presence of diversity in the organization and how it affects the overall outcome. From the figure it is clear that diversity comprises of surface level and deep level which forms the basis for existence of organizational diversity. At this point, pictures the need for diversity management which actually is the voluntary act of the management. Diversity management has an impact on the total performance of the organization. The value of diversity is reinforced by a survey that found that a majority of both HR professionals and job seekers believes diversity initiatives have made organizations more successful. Diversity management has been posited as a moderator of the relationship between diversity in the workplace and outcomes such as working relationships and performance (Kochan et al., 2003). Researchers assert that diversity in organization can bring both positive and negative outcomes (Christian, Porter & Moffitt, 2006; Milliken & Martins, 1996). There is always a question how diversity management affects the performance of an organization (Jackson & Joshi, 2004). Employers and management researchers have tried to improve their understanding of how workforce diversity influences individual employee’s performance and the organization’s performance (Jackson & Joshi, 2004). Studies (Jackson, Joshi, & Erhardt, 2003; Webber & Donahue, 2001) have found that various forms of diversity are associated with greater innovation, improved strategic decision-making, and organizational performance, while other researchers have also found that diversity increases conflict, reduces social cohesion, and increase turnover (Jackson & Joshi, 2004). It is also stated by Cox (1993) that the existence of diversity may affect certain organizational processes such as communications, creativity, and problem solving, which are closely related to performance. Given the uncertainty of the effects of diversity management on performance, there is a great need for an all-inclusive review to create a positive link between diversity and performance of an organization (Kochan et al., 2003). Different types of people see the world in different ways. The presence of diverse perspectives on a particular problem will help to come up with creative ideas to solve the complex problem. People of different age group, gender, attitudes, desires, work behaviors etc. will have a difference in opinion with respect to the same problem in concern. Such an environment is required in order to bring about brain-storming ultimately resulting to some creativity ideas. Organizational performance is a very essential issue for every organization be it public or private; profit or non-profit; manufacturing or IT. Roberson and Jeong Park (2007) found that there is a relationship between diversity reputation and book-to-market equity, which suggests that diversity reputation, may signal investors about companies’ future performance. The performance in the field of diversity management of an organization will create a picture in the market which will decide the fate of the organization. If the performance of the organization is remarkable then there is every possibility that more talented personnel will look for being a part of it. Diversity is one such factor which helps in creating goodwill for the organization. If the organization is seen as valuing a diverse workforce, talented personnel will not hesitate in joining the same. Creating an environment where every individual can feel at home is very crucial in order to facilitate the outcome of the individuals, more particular in today's competitive environment. Individuals if are satisfied with the management of their needs by the organization will come out freely with their ideas facilitating innovation, creativity which of course comes with the diverse workforce. Thus, managing a diverse workforce requires the organization to adopt a suitable diversity policies and strategies. This policies and strategies should be included in the HR policies of the organization itself so that it becomes mandatory and lasting; and so that people with diverse backgrounds feel included in the organization. Even though many organizations have instituted diversity programs, most of them have not documented how diversity efforts affect organizational performance. Concrete framework towards diversity management hence needs to be executed. Through the literature survey it has been found that diversity management is a crucial necessity for an organization to be competitive. Mere following of the mandatory rules and regulations laid by the government with regard to equal employment or reservation system is not an end itself. Apart from following those criteria, organizations should certainly have a clear cut diversity management outline about the practices to be followed with respect to the diverse employees present in the organization. Diversity is a fact; dealing with it is the best solution. The basic break drawn from the literature survey and a prospect for conducting further research is to find out which of the diversity factors mostly contribute to the efficiency level with exposure on performance, as it has been found that presence of diversity factor in different situation resulted into mixed results. In today’s complex and ever growing fast technological age, an organization’s diverse workforce is one of its most essential resources and a key asset depending on which an organization can compete effectively through continuous innovation. Diversity in all its dimensions is essential for the companies today as it will bring creativity and innovation for an organization. Diversity is the process of creating greater wealth through increased creativity and productivity. Talent does not come in uniform package and the competition for it suggests that an organization really needs to strive hard to leverage its talent. Organization should strive to leverage the knowledge of the individual employees making use of its diverse characteristics. Individuals come with a whole lot of knowledge imbedded in them which they will not leverage until and unless they are willing to do so. The individual should feel at home so that he can work freely in the environment which will be conducive for their creativity and innovation. More specifically in a knowledge based organizations, individuals are required to work mentally than physically, which signifies the importance of leveraging the knowledge of the individual as the first priority to attend to. Diversity is such one factor which needs to be taken care of, if the organization wants the individual to contribute to the organization positively. Organizational performance relies on the individual employees and their output towards the total output of the organization. Performance being an important issue for an organization cannot be left unnoticed or overlooked. Steps to achieve a positive outcome towards performance need to be taken care of. Ample evidence exist where innovation, creativity, increased productivity is seen where diversity is managed effectively which of course is the indicator of positive organizational performance. It is our responsibility as individuals and for the organizations as a whole to recognize, respect, and value the differences of all individuals and thus utilize the opportunity to learn from our colleagues and the diversity of their background. Bell, S. T., Villado, A. J., Lukasik, M., Belau, L., & Briggs, A. (2011). Getting specific: A meta-analysis of the team demographic diversity and performance relationships. Journal of Management , 37 , 709-743. Betters-Reed, B. L., & Moore, L. L. (1992). Managing diversity: Focusing on women and the whitewash dilemma. Womanpower: Managing in times of demographic turbulence , 31-58. Beyer, P. (2003). Conceptions of religion: On distinguishing scientific, theological, and “official” meanings. Social Compass , 50 (2), 141-160. Brazeel, S. (2009). Recruitment practices and generational characteristics. Offshore , 69 (12), 2. Brickson, S. (2000). The impact of identity orientation on individual and organizational outcomes in demographically diverse settings. Academy of management Review , 25 (1), 82-101. Bunderson, J. S. (2003). Recognizing and utilizing expertise in work groups: A status characteristics perspective. Administrative Science Quarterly , 48 (4), 557-591. Carrell, M. R., Elbert, N. F., & Hatfield, R. D. (2000). Human resource management: strategies for managing a diverse and global workforce . Harcourt College Pub. Choi, S., & Rainey, H. G. (2010). Managing diversity in US federal agencies: Effects of diversity and diversity management on employee perceptions of organizational performance. Public Administration Review , 70 (1), 109-121. Christian, J., Porter, L. W., & Moffitt, G. (2006). Workplace diversity and group relations: An overview. Group Processes & Intergroup Relations , 9 (4), 459-466. Clark, T. (1995). Managing consultants: Consultancy as the management of impressions . McGraw-Hill International. Cooke, F. L., & Saini, D. S. (2010). Diversity management in India: a study of organizations in different ownership forms and industrial sectors. Human Resource Management , 49 (3), 477-500. Cox, T. 1993. Cultural Diversity in Organizations: Theory, Research, and Practice. San Francisco: Berrett-Koehler. Cox, T. H., & Blake, S. (1991). Managing cultural diversity: Implications for organizational competitiveness. The Executive , 45-56. DeLuca, J. M., & McDowell, R. N. (1992). Managing diversity: a strategic ‘grass-roots’ approach. Diversity in the workplace: Human resources initiatives , 1 . Dutton, J. E., Dukerich, J. M., & Harquail, C. V. (1994). Organizational images and member identification. Administrative science quarterly , 239-263. Ely, R. J. (2004). A field study of group diversity, participation in diversity education programs, and performance. Journal of organizational behavior , 25 (6), 755-780. Gebert, D., Boerner, S., & Chatterjee, D. (2011). Should Diversity be openly discussed or not? An explorative study in India. ZfM-Zeitschrift fur Management , 6 (3), 287. Ginsberg, M. B. (2005). Cultural diversity, motivation, and differentiation. Theory Into Practice , 44 (3), 218-225. Gonzalez, J. A., & Denisi, A. S. (2009). Cross ‐ level effects of demography and diversity climate on organizational attachment and firm effectiveness. Journal of Organizational Behavior , 30 (1), 21-40. Gursoy, D., Maier, T. A., & Chi, C. G. (2008). Generational differences: An examination of work values and generational gaps in the hospitality workforce. International Journal of Hospitality Management , 27 (3), 448-458. Haeberle, K., Herzberg, J., & Hobbs, T. (2009). Leading the multigenerational work force. A proactive approach will cultivate employee engagement and productivity. Healthcare executive , 24 (5), 62-64. Harrison, D. A., & Klein, K. J. (2007). What's the difference? Diversity constructs as separation, variety, or disparity in organizations. Academy of Management Review , 32 (4), 1199-1228. Harrison, D. A., Price, K. H., Gavin, J. H., & Florey, A. T. (2002). Time, teams, and task performance: Changing effects of surface-and deep-level diversity on group functioning. Academy of management journal , 45 (5), 1029-1045. Herring, C. (2009). Does diversity pay? : Race, gender, and the business case for diversity. American Sociological Review , 74 (2), 208-224. Jackson, S. E., & Joshi, A. (2004). Diversity in social context: a multi ‐ attribute, multilevel analysis of team diversity and sales performance. Journal of organizational Behavior , 25 (6), 675-702. Jackson, S. E., Joshi, A., & Erhardt, N. L. (2003). Recent research on team and organizational diversity: SWOT analysis and implications. Journal of management , 29 (6), 801-830. Johnston, W. B., & Packer, A. E. (1987). Workforce 2000: Work and workers for the twenty- first century . DIANE Publishing. Kapoor, C., & Solomon, N. (2011). Understanding and managing generational differences in the workplace. Worldwide Hospitality and Tourism Themes , 3 (4), 308-318. Kilduff, M., Angelmar, R., & Mehra, A. (2000). Top management-team diversity and firm performance: Examining the role of cognitions. Organization Science , 11 (1), 21-34. Kochan, T., Bezrukova, K., Ely, R., Jackson, S., Joshi, A., Jehn, K., ... & Thomas, D. (2003). The effects of diversity on business performance: Report of the diversity research network. Human resource management , 42 (1), 3-21. Kossek, E. E., Lobel, S. A., & Brown, J. (2006). Human resource strategies to manage workforce diversity. Handbook of workplace diversity , 53-74. Liao, H., Joshi, A., & Chuang, A. (2004). Sticking Out Like a Sore Thumb: Employee Dissimilarity and Deviance at Work*. Personnel Psychology , 57 (4), 969-1000. Lorbiecki, A., & Jack, G. (2000). Critical turns in the evolution of diversity management. 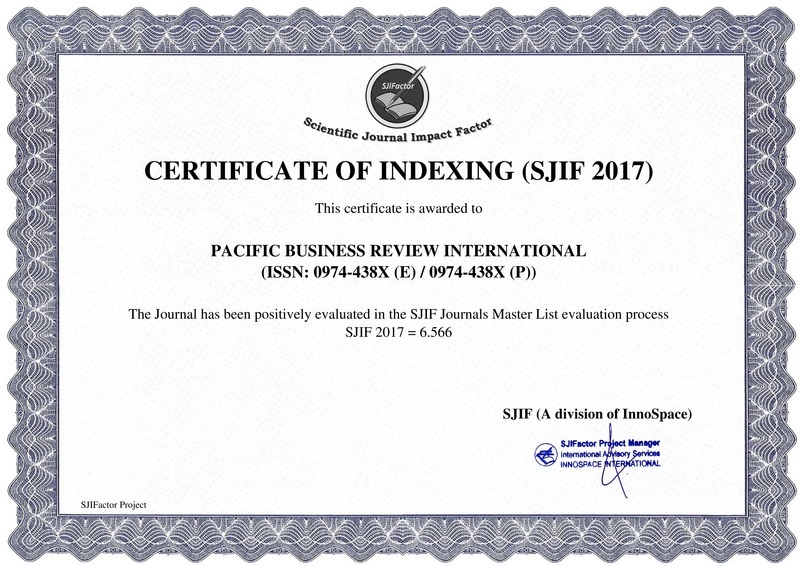 British Journal of Management , 11 (s1), S17-S31. Lumadi, M. W. (2011). Managing diversity at higher education and training institutions: A daunting task. Journal of Diversity Management (JDM) , 3 (4), 1-10. Matton, J. N., & Hernandez, C. M. (2004). A new study identifies the “makes and breaks” of diversity initiatives. Journal of Organizational Excellence , 23 (4), 47-58. Milliken, F. J., & Martins, L. L. (1996). Searching for common threads: Understanding the multiple effects of diversity in organizational groups. Academy of management review , 21 (2), 402-433. Morgan Jr, B. B., Glickman, A. S., Woodard, E. A., Blaiwes, A. S., & Salas, E. (1986). Measurement of team behaviors in a Navy environment . BATTELLE COLUMBUS LABS RESEARCH TRIANGLE PARK NC. Mowday, R. T., Porter, L. W., & Steers, R. M. (1982). Employee-organization linkages: The psychology of commitment, absenteeism, and turnover (Vol. 153). New York: Academic Press. Paelmke, H., & Erwee, R. (2008). Diversity management in German and Indian manufacturing companies. International Journal of Organisational Behaviour , 13 (1), 28-51. Pollock, M. I. C. H. A. E. L. (2009). Investigating the relationship between team role diversity and team performance in information systems teams. Journal of Information Technology Management , 20 (1), 42-55. Richard, O. C., Barnett, T., Dwyer, S., & Chadwick, K. (2004). Cultural diversity in management, firm performance, and the moderating role of entrepreneurial orientation dimensions. Academy of Management Journal, 47 , 255–266. Roberson, Q. M., & Park, H. J. (2007). Examining the Link Between Diversity and Firm Performance The Effects of Diversity Reputation and Leader Racial Diversity. Group & Organization Management , 32 (5), 548-568. Rosen, B., & Lovelace, K. (1991). Piecing together the diversity puzzle. HR Magazine: on human resource management , 36 (6), 78. Shaw, J. B., & Barrett-Power, E. (1998). The effects of diversity on small work group processes and performance. Human Relations , 51 (10), 1307-1325. Simons, A. (2009). Changing workplace demographics: T+ B+ Y+ X= opportunity. CPA Prac. Mgmt. F. , 5 , 15. Spiro, C. (2006). Generation Y in the Workplace. Defense AT&l , 16 , 19. Stone, R. (1995) Human Resource Management , 2nd edn. Brisbane: Jacaranda Wiley. Stout, R. J., Salas, E., & Carson, R. (1994). Individual task proficiency and team process behavior: What's important for team functioning?. Military Psychology , 6 (3), 177. Van Knippenberg, D., De Dreu, C. K., & Homan, A. C. (2004). Work group diversity and group performance: an integrative model and research agenda. Journal of applied psychology , 89 (6), 1008. Watson, W. E., Johnson, L., & Zgourides, G. D. (2002). The influence of ethnic diversity on leadership, group process, and performance: an examination of learning teams. International Journal of Intercultural Relations , 26 (1), 1-16. Webber, S. S., & Donahue, L. M. (2001). Impact of highly and less job-related diversity on work group cohesion and performance: A meta-analysis. Journal of management , 27 (2), 141-162. Wendover, R. (2009). Meet you new boss–a Gen-Xer!. Compensation and Benefits for Law Offices , 9 , 12-15. Williams, K. Y., & O'Reilly, C. A. (1998). Demography and diversity in organizations: A review of 40 years of research. Research in organizational behavior , 20 , 77-140. Wu, C. C., & Chiang, Y. C. (2007). The impact on the cultural diversity to employees' job satisfaction between mainland China and Taiwan: a comparison of Taiwanese invested companies. The International Journal of Human Resource Management , 18 (4), 623-641. Yeager, K. L., & Nafukho, F. M. (2012). Developing diverse teams to improve performance in the organizational setting. European Journal of Training and Development , 36 (4), 388-408. Zoogah, D. B., Vora, D., Richard, O., & Peng, M. W. (2011). Strategic alliance team diversity, coordination, and effectiveness. The International Journal of Human Resource Management , 22 (03), 510-529. The pacific institute of management is a constituent of the pacific academy of higher education and research (PAHER) and has a distinctive image in the region. PAHER is a premier institution of higher learning imparting education in the faculties of management, commerce, pharmacy, education and dental care. 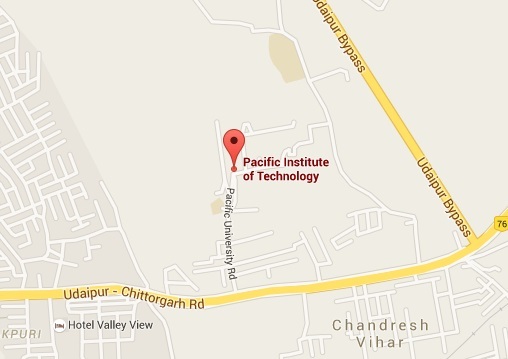 Pacific Hills, Pratap Nagar Ext.